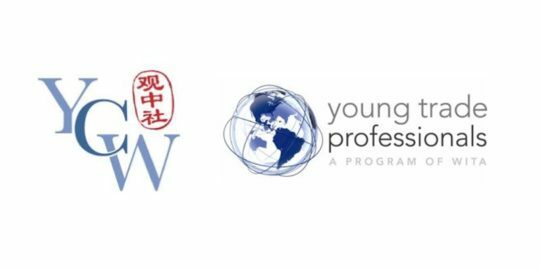 Please join Young China Watchers and Young Trade Professionals for a conversation with Ernest Z. Bower on Southeast Asia’s perspective towards China and its rising ambition in the region. Mr. Bower will discuss how leaders in Southeast Asia are variously leveraging and hedging China as a rising regional power and have used a diverse array of strategies that belie a unified, regional response. Despite this, shared experiences and common learned lessons have made it significantly more challenging for Beijing to use diplomatic overtures and economic incentives to develop regional soft power. Mr. Bower will describe these trends and their implications for U.S. foreign policy and regional supply chains. As always, Young China Watchers events follow Chatham House rules. We appreciate your discretion to ensure a free and frank discussion. Ernie Bower is recognized as one of the world’s leading experts on the Asia-Pacific. He is the founder and CEO of BowerGroupAsia, Inc. and founder and chairman of AkarAsia, Inc. which is pioneering the field of digital advocacy and the use of artificial intelligence as a policy and business tool across Asia. He is an innovator and builder. He has developed and helped build some of the core entities that lead US business, policy and people to people engagement with Asia, particularly Southeast Asia. In addition to founding BowerGroupAsia and AkarAsia, he helped create and develop US-ASEAN Business Council, and founded the first chair for Southeast Asia among Washington’s top-tier think tanks at the Center for Strategic & International Studies (CSIS). Bower helped to start the US-ASEAN Business Council in the mid 1980’s and served for a decade until 2004 as president of the private business group comprised of America’s leading companies in Southeast Asia. He helped to establish and build the council from the ground up, working with government and private sector leaders from the United States and Southeast Asia. He also created a chair for Southeast Asia at CSIS, in Washington, D.C., from 2009 to 2016. In addition, Bower also founded and co-directed the Pacific Partners Initiative, the only Washington-based think tank program focusing specifically on Australia, New Zealand and the Pacific Island countries. He continues to serve as chair of the Southeast Asia Advisory Board and is non-resident senior fellow at CSIS. He publishes regular commentaries and offers guidance on policy in Washington and around Asia, including providing congressional testimony and media interviews. Bower has led several special initiatives to help define U.S. policy in Southeast Asia, including serving as director of a U.S.-ASEAN Strategy Commission and as the secretariat of the U.S.-ASEAN Eminent Persons Group, as well as conceptualizing the US Asia Economic Strategy Commission. Bower is widely recognized as one of the strongest proponents for close ties between the United States and Asia. In recognition of his work, the king of Malaysia awarded him the Darjah Panglima Jasa Negara, pronouncing him holder of the title “datuk” in Malaysia. The president of the Philippines awarded him the rank of “lakan,” or commander, for his service to the Philippines. Bower currently serves on the boards of the Special Olympics, American Australian Council and the Board of Advisors of the United States-Indonesia Society. He earned a bachelor’s degree from Colgate University and studied Mandarin Chinese at Middlebury College’s renowned Sunderland School of Foreign Language. He lives in Fairfax with his wife Sam. Together they have three children: Charlie, Chloe and Hugh, along with their dogs Blue and Violet. Founder and CEO of BowerGroupAsia, Inc./Founder and Chairman of AkarAsia, Inc.